We have been building specialty cases and carts for 10 years in the Southern California area. Primarily for schools and marching bands, many of these carts are meant to be taken from venue to venue and survive the rigorous demands of students. The materials used are high quality aluminum and ABS laminated plywood. This laminating process ensures years of reliable use and durability. 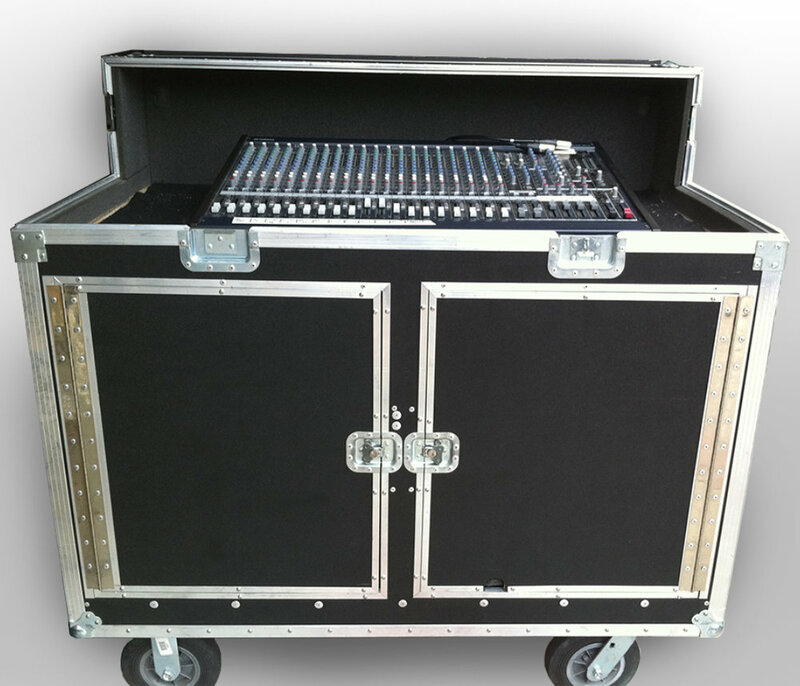 Our carts and cases are made to order and are designed with you and with your needs in mind. 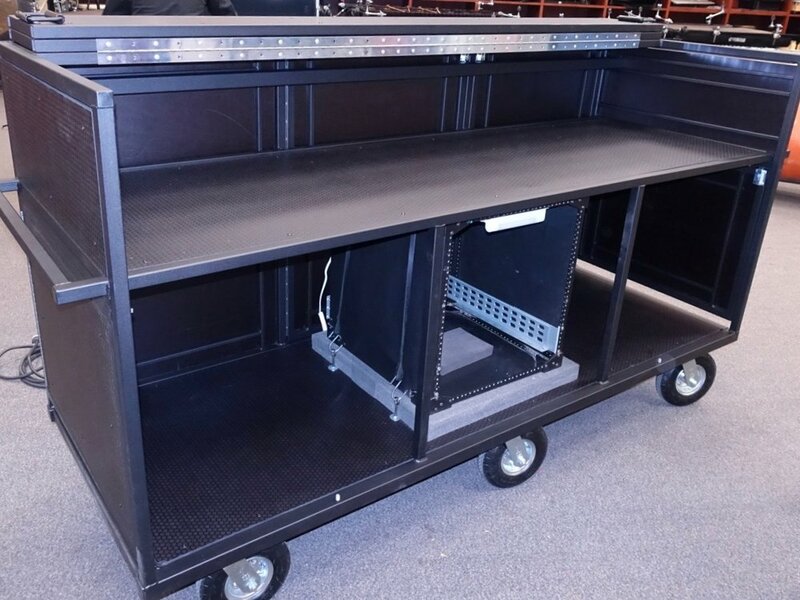 These carts can included electrical and audio connections built right in. As well as shock mounted standard 19" racks for mounting and protecting amps, line conditioners, etc. Please Contact us with any questions.